Last Thursday, I gave a keynote talk at the 2nd Symposium on Sustainable Nanotechnology, co-organised by NTU and Harvard T. H. Chan School of Public Health at Boston, MA. 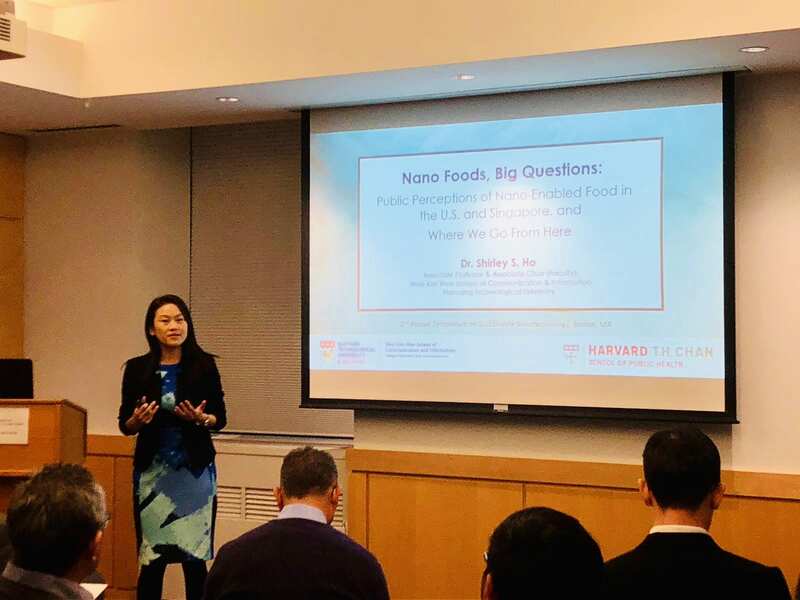 Glad that my talk on “Nano Foods, Big Questions: Public Perceptions of Nano-Enabled Food in the U.S. and Singapore, and Where We Go From Here” was well received by the multi-disciplinary group of audience at the symposium. Thanks to Prof. Phil Demokritou and Prof. Ng Kee Woei for their invitation!